North Carolina Republican Sen. Thom Tillis says he’s “shocked” that the allegations of sexual misconduct against Judge Brett Kavanaugh did not come up in his days-long Supreme Court confirmation hearings. On “Face the Nation” Sunday, Tillis, who is on the Senate Judiciary Committee, said he had not seen a letter sent by an unnamed female accuser to her congresswoman, Rep. Anna Eshoo. On Thursday, Sen. Dianne Feinstein, the top Democrat on the committee, confirmed the existence of the letter. According to The New Yorker, the letter described an alleged incident when Kavanaugh and the woman were both minors at different high schools in the D.C. area in the 1980s. The New Yorker reported the letter claims that Kavanaugh unsuccessfully attempted to force himself on her at a high school party. Tillis also questioned the timing of the letter’s existence becoming public, and why the letter’s author would not come forward in a confidential setting. Kavanaugh has categorically denied the allegations against him. Tillis said he still expects the Senate to move forward with Kavanaugh’s confirmation before October. The committee moved to delay the first round of votes on his confirmation for one week. 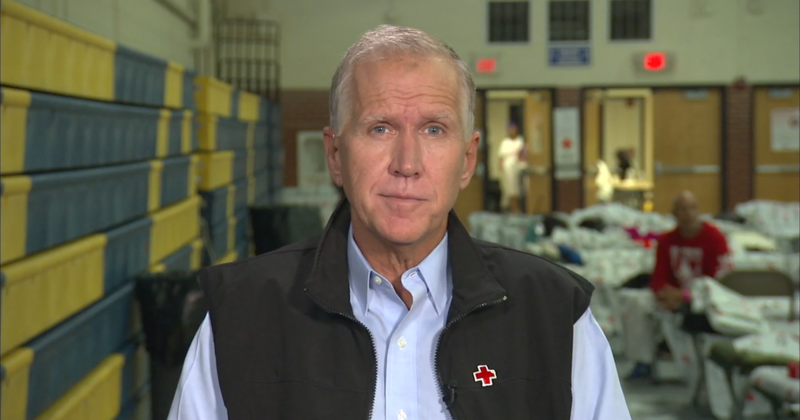 Meanwhile, Tillis says his home state of North Carolina is “doing as well as it can” to deal with record-breaking rain from Florence, a weather event that he believes will exceed the damage Hurricane Matthew inflicted just two years ago. 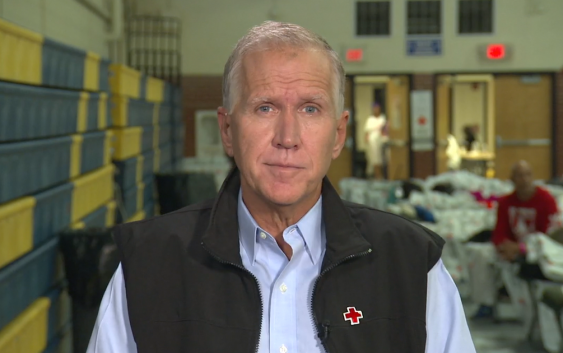 Tillis said as rain bands continue to pummel the Charlotte area and move up through the mountain region, and that it will be “matter of days before we see the full effects of this storm.” The senator said FEMA assets were “positioned as well as they could be” in advance of Florence’s landfall and commended the efforts of organizations like the Red Cross to provide assistance to displaced residents.